MCALLEN - McAllen Heart Hospital doctors, Dr. Menoa, Dr. Posada, Dr. Azpurua and Dr. Giraldo with their plaques after McAllen Heart Hospital was named among America's 50 Best Hospitals for Cardiac Surgery Friday Aug.03, 2017 at the Heart Hospital in McAllen. McALLEN — Three Valley hospitals were named among the best in the country in cardiology and women’s services. McAllen Heart Hospital was recognized as one of the best 50 hospitals in the country for cardiac surgery and one the best 100 for cardiac care and coronary intervention while McAllen Medical Center and Edinburg Regional Medical Center were both given five-star ratings for quality excellence in women’s services. The three hospitals are owned by South Texas Health System. The hospitals received the recognition by Healthgrades Operating Company, Inc. which provides information about hospitals, doctors and health care providers nationwide. 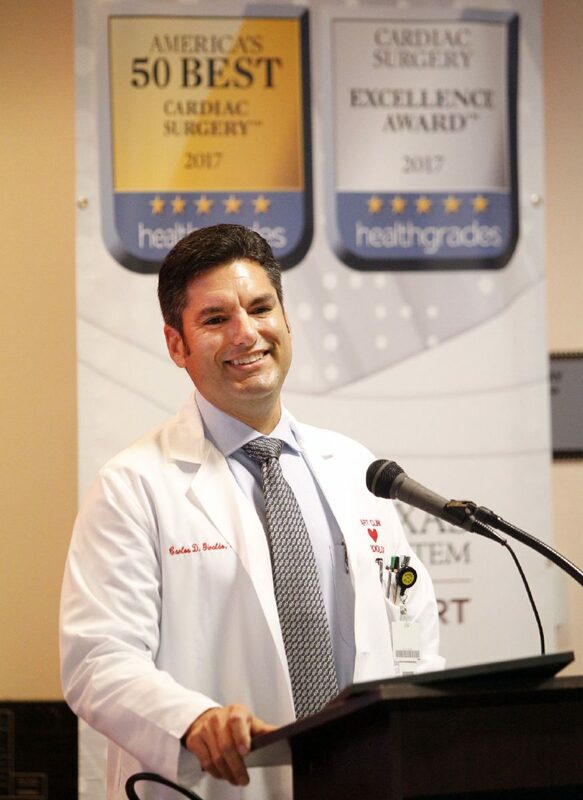 MCALLEN -Heart Hospital Dr. Giraldo smiles during a press conference for the McAllen Heart Hospital being named among America's 50 Best Hospitals for Cardiac Surgery on Friday Aug.03, 2017 at the Heart Hospital in McAllen. 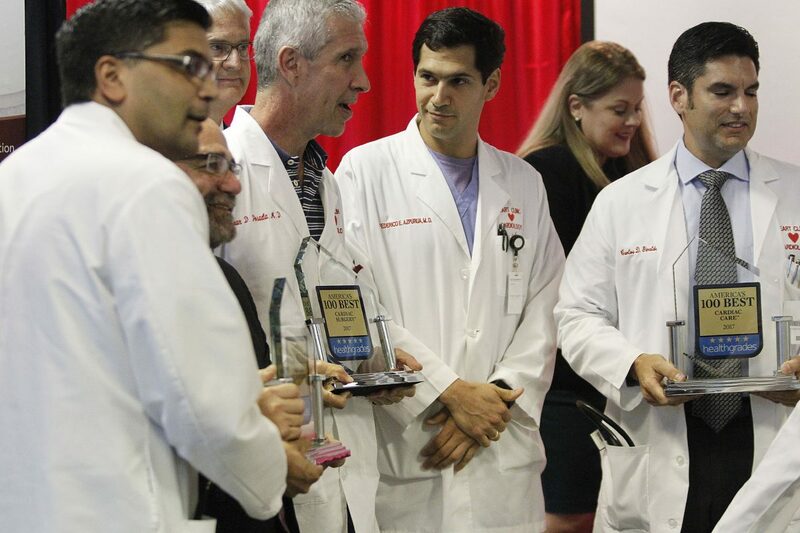 Carlos Giraldo, an intervention cardiologist at McAllen Heart, said the small team of cardiologists strived to treat their patients like family by providing solid care. “We annually evaluate nearly 5,000 hospitals nationwide in 33 of the most common inpatient procedures and conditions,” Payne said. As part of their recognition in women’s services, McAllen Medical Center and Edinburg Regional received five stars in gynecologic surgery and, for the third year in a row, five stars in vaginal and C-section deliveries. Thiendela Diagne, an OB-GYN at Valley Care Clinics, which is part of Edinburg Regional, said they were working on quality initiatives such as decreasing the rates of C-sections and said he hoped to have the lowest C-section rate in the Valley by next year.